Artificial grass can transform how you use your garden and you’ll soon fine that you spend more time enjoying and relaxing in your garden than having to manage and maintain it. It’s both child and dog friendly so don’t worry if you think it wouldn’t be suitable for your family. 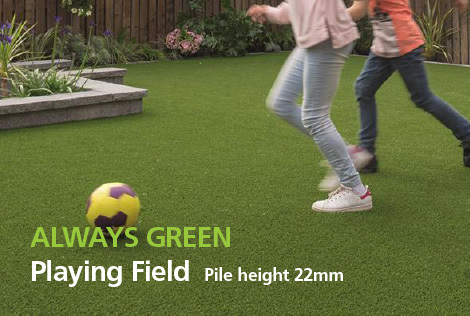 We work with Marshalls Always Green and Namgrass to supply our customers with the highest quality artificial grass possible that won’t hurt children if you they fall over nor will it harm your pets. Village Green provides you with the same terrific attributes of Summer Lawn with exception of a green thatch layer. The green thatch layer adds a more vibrant evergreen appearance to your artificial lawn. 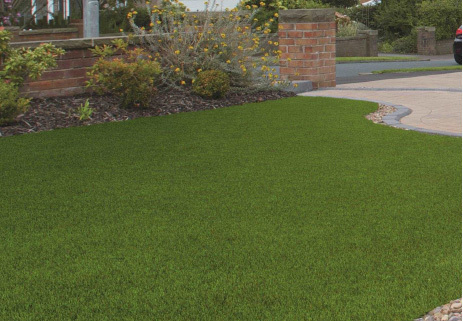 As with all Always Green ,M products this turf is extremely durable featuring a premier backing cloth where each grass blade is secured, to deliver not only extreme resistance to pull force, but is also perforated so liquids can easily pass through. The new standard in artificial grass. Always Green Playing Field has been developed specifically with the rough and tumble of child’s play in mind. The monofilament turf fibres have exceptional split resistance compared to conventional turf fibres. Built to FIFA standards the yarn is not only durable but slide friendly and simply great to play on. The kids will have hours of fun on and will last for many years. 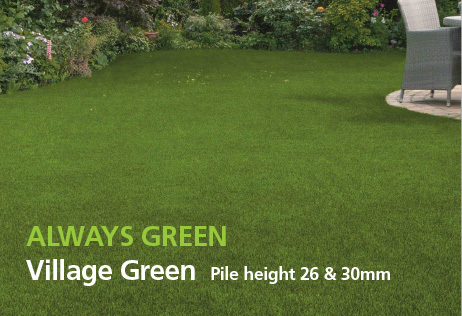 Always Green Summer Lawn is a unique multi-toned product, creatively made to perfectly replicate natural grass. Always Green’ Summer Lawn light reflection technology and the incorporation of jute colours in the thatch layer make this product extremely realistic. Get the garden you deserve. Always Green uses premium quality latex coated backing to eliminate movement and slippage yet strong enough to handle sustained activity. Inferior products will often resort to using fillers to add weight, compromising their product durability.